Maxim Group analyst Stephen Anderson maintained a Buy rating on Dave & Busters Entertainment (NASDAQ: PLAY) today and set a price target of $68. The company’s shares closed yesterday at $57.52, close to its 52-week high of $58.86. According to TipRanks.com, Anderson is a top 100 analyst with an average return of 15.4% and a 75.5% success rate. Anderson covers the Services sector, focusing on stocks such as Good Times Restaurants Inc, Dine Brands Global Inc, and Brinker International. Dave & Busters Entertainment has an analyst consensus of Strong Buy, with a price target consensus of $65, a 13.0% upside from current levels. In a report issued on September 11, Canaccord Genuity also reiterated a Buy rating on the stock with a $65 price target. The company has a one-year high of $58.86 and a one-year low of $37.85. Currently, Dave & Busters Entertainment has an average volume of 839.5K. Based on the recent corporate insider activity of 49 insiders, corporate insider sentiment is neutral on the stock. Most recently, in June 2018, John Gleason, the SVP & CMO of PLAY sold 3,000 shares for a total of $166,440. 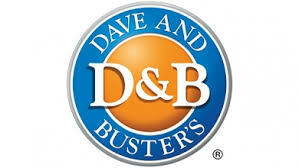 Dave & Buster’s Entertainment, Inc. is an owner and operator of entertainment and dining venues under the name Dave & Buster’s. Its concept is to offer its customers the opportunity to Eat Drink Play all in one location, through a full menu of casual dining food items and a full selection of non-alcoholic and alcoholic beverage items together with an extensive assortment of entertainment attractions, including skill and sports-oriented redemption games, video games, interactive simulators and other traditional games. The company was founded by David O. Corriveau and James W. Corley in 1982 and is headquartered in Dallas, TX.